NTI published six related policy papers that together provide an alternative vision and roadmap for America’s nuclear policy and posture. 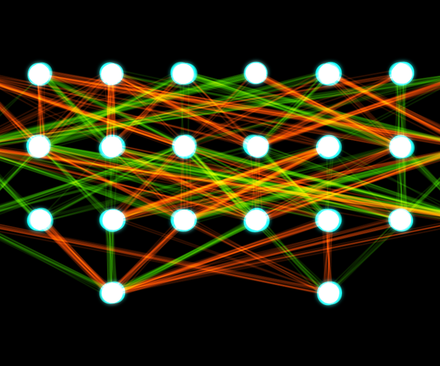 Rather than wait for the world to be transformed by AI in the distant future, we should pay careful attention to shaping the field’s progress in a more secure direction, especially when it comes to applications as vitally important as nuclear. 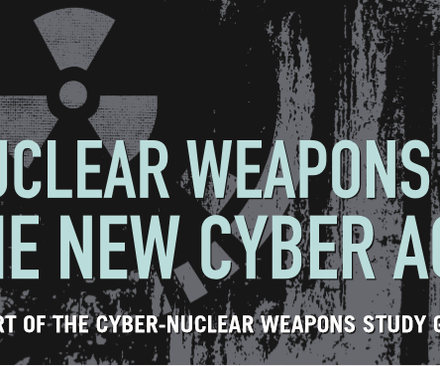 Nuclear weapons and related systems are increasingly vulnerable to sophisticated cyberattacks, and nuclear-armed states must cooperate and accelerate efforts to prevent an attack that could have catastrophic consequences. 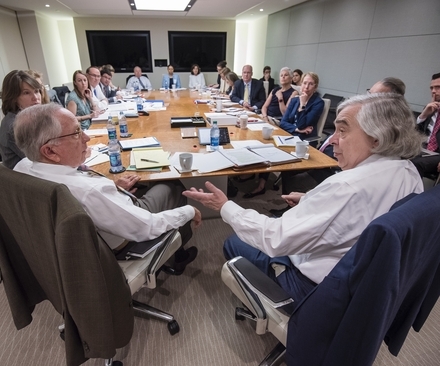 The Nuclear Threat Initiative is looking for innovative new ways to use the NTI Nuclear Security Index rankings and data to improve understanding of the way nuclear materials and facilities are secured around the world and to highlight needs and spur action among governments. 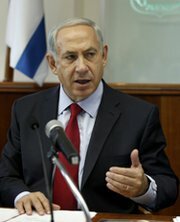 Israeli Prime Minister Benjamin Netanyahu attends a cabinet meeting in Jerusalem last month. The Israeli government in recent days reportedly participated in a forum with Arab and Iranian officials that focused on reaching agreement on the scope and objectives of future potential negotiations for a regional ban on unconventional weapons (Gali Tibbon/AFP/Getty Images). Senior Israeli government officials last week reportedly gathered with representatives from Arab nations to review the potential for convening a Middle Eastern conference focused on establishing a regional ban on all unconventional weapons, the Times of Israel reported on Thursday. The gathering was previously reported to be aimed at reaching agreement on the terms and objectives of future negotiations over a regional weapons of mass destruction-free zone. 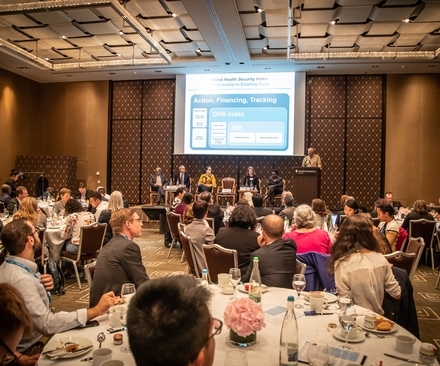 Israeli Foreign Ministry Deputy Director General Jeremy Issacharoff and an unidentified high-ranking Israeli Atomic Energy Commission official represented their government at the multinational forum held in Switzerland. While Libya, Oman and the United Arab Emirates had specially assigned officials representing them at the meeting, other Arab states as well as Iran sent envoys from their Swiss embassies, according to a report in the Hebrew-language Maariv newspaper. U.S., British and Russian officials were said to be in attendance, as was Jaakko Laajava, the Finnish diplomat who serves as facilitator for the hoped-for negotiations. The Israeli Foreign Ministry did not respond to requests for comment on the Maariv report. No other information was reported on about the Swiss meeting. If the report is confirmed as true, it would mark the first time that Israeli, Arab and Iranian government officials have gathered together to hammer out an agenda for negotiating a WMD-free zone, according to an Arutz Sheva 7 Israeli news station report. Arab League officials reportedly were concerned that having Israel at the talks would result in a diminished focus in the agenda on the Jewish state's widely assumed nuclear arsenal. A U.N.-backed effort to in late 2012 to organize a conference for all Middle Eastern countries never came together when at the last minute Israel would not confirm its attendance. As Israel is understood to possess the region's sole stockpile of nuclear weapons, its participation was seen as essential if any progress was going to be made in negotiating a weapons ban. Israel has said it cannot participate in WMD-free zone talks until concerns about the military applications of Iran's nuclear development are resolved and there is an overarching Arab-Israeli peace agreement in place. However, the recent agreement by Syria's Bashar Assad to surrender his large stockpile of chemical weapons to international destruction is seen to have encouraged regional hopes for negotiating a ban on all biological, chemical and nuclear armaments. NTI has developed interactive educational tools for anyone who wants to learn more about the threat posed by nuclear, chemical, and biological weapons.